Westbound Interstate 70 will be closed from 10 a.m. to 2 p.m. Monday as Colorado Department of Transportation crews work to patch asphalt on the road. 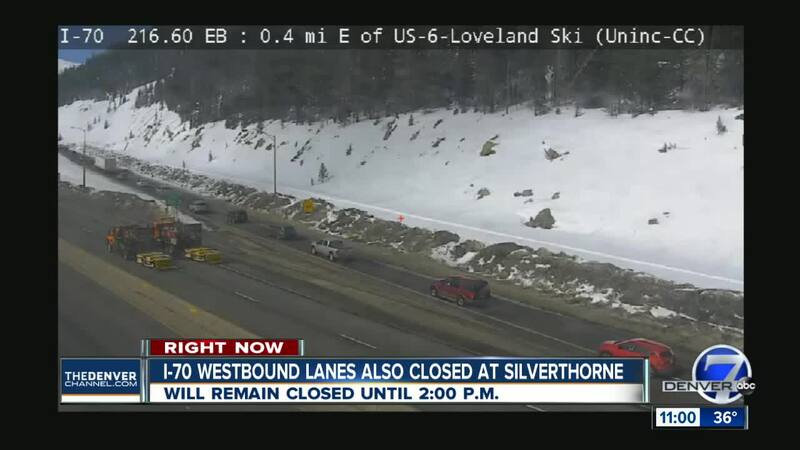 SILVERTHORNE, Colo. – Westbound Interstate 70 will be closed from 10 a.m. to 2 p.m. Monday at Silverthorne as Colorado Department of Transportation crews work to patch asphalt on the road. Drivers heading westbound into Summit County will have to use U.S. Highway 6 and Loveland Pass as a detour but will be able to get back onto I-70 at Silverthorne (mile marker 205). CDOT crews will be patching the two bridges on I-70 over U.S. Highway 6 and Highway 9. Communications Manager Bob Wilson said the patching was taking place Monday during good weather ahead of upcoming snowstorms. For the latest traffic conditions statewide, click here.